The design concept of the facade scaffold system with the Easy Frame combines safety and cost-effectiveness. PERI UP Easy is characterised by its low weight enables significantly reduced assembly and dismantling times. 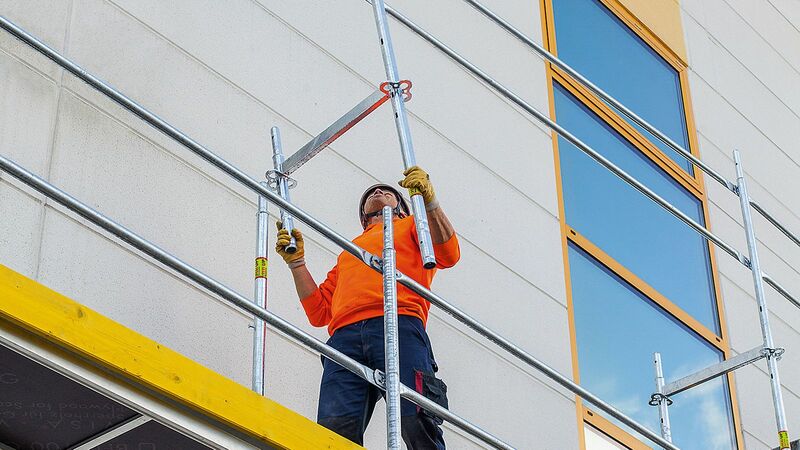 As the guardrail for the next scaffold level is mounted with the Easy frame from the lower level without any additional components, scaffolders are secured against falling on every level without requiring any rope protection. In the meantime, PERI UP Easy has now proven itself as a lightweight facade scaffold on many construction sites. As currently the only system with integrated safety components, it also complies with the very latest legal requirements. Since the market launch, PERI UP Easy has been continuously further developed, always with a focus on respective customer requirements. Thus, new components were created and will continue to be created in order to be able to realise additional applications with system components both quickly and efficiently. On the one hand, PERI has developed different scaffold decking in order to meet the different requirements of the users. The portfolio now includes decks with and without access means for applications in the trades, industry and civil engineering segments which make a convincing case not only due to the low component weight but also through the improved handling. 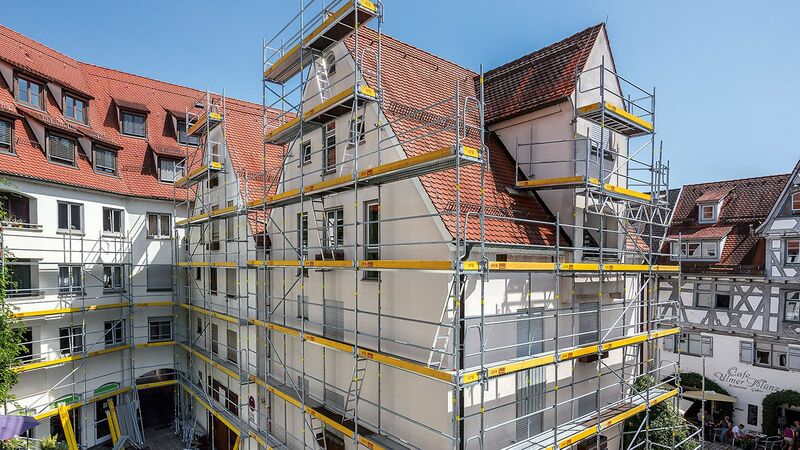 On the other hand, the PERI UP modular scaffolding kit now includes a stair system with a width of 67 cm thus matching the standard width of the PERI UP Easy facade scaffolding system. With PERI UP Easy, the focus is on safe assembly operations: in addition, it offers safety in the system itself because the guardrail for the next level is mounted from the scaffolding level below with the Easy Frame and without requiring any additional components.